The Tennessee State Capitol building in Nashville. New legislation recently introduced would extend sexual harassment protections to contract workers — a designation that applies to many artists. Since last fall, when reporting on film mogul Harvey Weinstein's decades-long pattern of sexual assault instigated the movements now known as #MeToo and #TimesUp, many have wondered when the music industry's own dam would break. While few high-profile music industry leaders have met with the striking repercussions brought to celebrities such as Louis CK and Charlie Rose, the movement within music hasn't been stagnant. There have been stunning declarations of collective power, reporting that has alleged other instances of serial misconduct resulting in the severance of business relationships or the suspension of tours, public (and ongoing) demonstrations against pop stars and deep investigations into pernicious and pervasive behavior within whole sub-economies of the music business. Lawmakers in Nashville, the throne of country music, have been paying attention. A new piece of legislation, introduced into the Tennessee House of Representatives and Tennessee Senate by Rep. Brenda Gilmore and Sen. Jeff Yarbro in late January, proposes extending the state's sexual harassment protections to include not only employees of a given business, but contract workers as well. Many in Music City's homegrown industry — recording artists, session players, songwriters, producers and more — fall into the latter category. "Right now, it's very hard for [recording artists] to argue that they are employees in terms of sexual harassment laws," attorney Alex Little, who represents country singer Katie Armiger, told journalist Marissa R. Moss in a recent Rolling Stone Country investigation into the sexual harassment and assault often experienced by female artists during their promotional tours of radio stations. 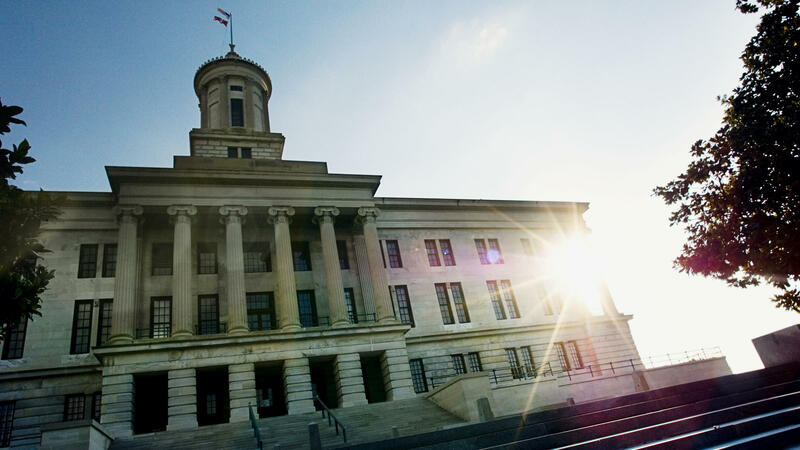 "In Tennessee, there is no reason legislatively [here] that the state legislature or congress can't step in and protect artists in the same way that employees are protected." ... a person who meets all of the following criteria: (A) The person has the right to control the performance of the contract for services and discretion as to the manner of performance; (B) The person is customarily engaged in an independently established business; and (C) The person has control over the time and place the work is performed, supplies the tools and instruments used in the work, and performs work that requires a particular skill not ordinarily used in the course of the employer's work. "There's been significant reporting recently that shows that in some cases, female artists face a lot of predatory behavior just for trying to have their music heard," Sen. Yarbro writes in an email to NPR Music. "From what we've learned, if you're a female artist, harassment is something you learn to expect as you try to promote your work. That's unacceptable, and it's a problem we should try to solve. "We know the music industry isn't a traditional workplace, so a lot of the ways we report harassment in traditional workplaces won't work. The legislation that Rep. Gilmore and I have proposed just makes it clear that everyone has a right to be safe in the workplace, regardless of whether their job fits the formalities of the current law." Jennifer Shinall, an associate professor of law at Vanderbilt Law School in Nashville who specializes in employment law, tells NPR Music that the extension of "any kind of employment discrimination protection to something beyond the employment relationship, and to this contracting relationship, is pretty groundbreaking — and it has the potential to be far-reaching." One thing the bill would not change is how sexual harassment is defined at the federal level — which, Shinall says, is still strict enough that even cases brought by employees have a high legal bar to clear. "The bigger issue with sexual harassment law — certainly at the federal level but at state courts as well — is that sexual harassment can be really difficult to prove. The federal standard is that the harassment has to be both severe and pervasive. There are multiple instances out there, certainly in the federal courts, of fairly offensive things being said or done and a court saying, 'Well, that's not pervasive enough, it only happened a few times.' So no claim. Or it's not severe enough, even though it happened a lot. ... So even if you are covered by sexual harassment laws, they can be difficult claims to win on the federal regulation." Federal law also restricts the legal recourse for sexual harassment and assault to businesses of a certain size. "The bottom line is that the federal law has the requirement of an employer having 15 or more employees," Carol Miaskoff, associate legal council for the Equal Employment Opportunity Commission (EEOC), the federal body responsible for enforcement of labor protections, tells NPR Music. "That's the critical difference here, and that's not going to change without an act from Congress." Shinall says the requirement is an equally important target in the war against harassment in the workplace, however non-standard a workplace might be. Miaskoff points to the EEOC's current enforcement plan, in effect from 2017 through 2021, which has prioritized clarifying "the application of workplace civil rights protections in light of the increasing complexity of employment relationships and structures, including temporary workers, staffing agencies, independent contractor relationships, and the on-demand economy." The EEOC says it has had a noticeable increase in traffic to the sexual harassment section of its website since last fall. The law proposed in Tennessee is not a magic-bullet fix for sexual harassment and assault in the music industry — or in any other contract work, such as on-demand driver services like Uber or project-based applications like TaskRabbit. But the expansion of policy would provide wider access to one of the few tangible routes survivors have toward minimizing recurrence and finding (legal) relief. And if these workers are given the option to pursue claims in court, the issue could get some closer attention in Washington.